One of my favorite features of my 2010 Toyota Highlander is the storage area in the center console. 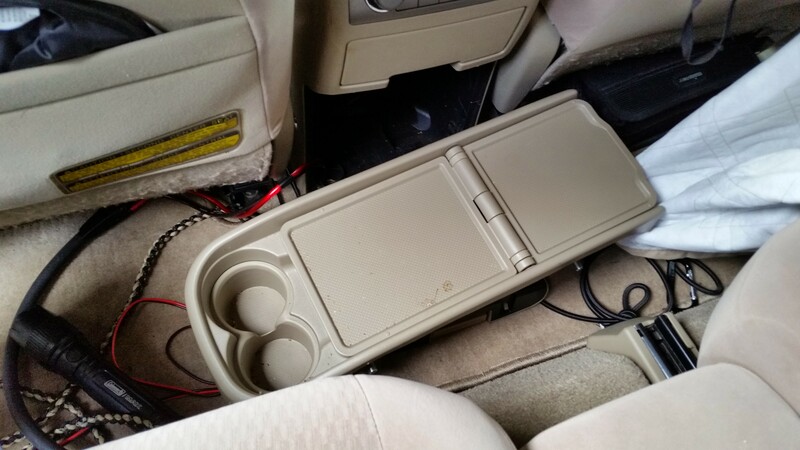 This large area began as storage for the rear seat drink holder/console but is now home to my mobile radios and other electronics. 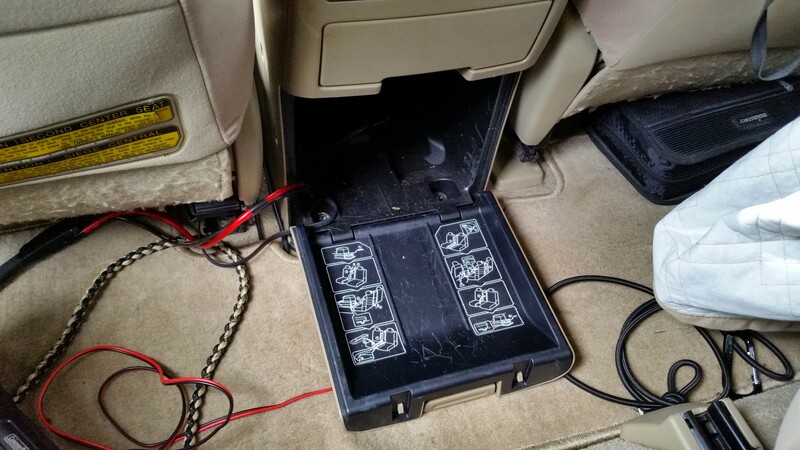 As you can see below the rear seat console is quite large so there is plenty of room for several radios down there! Using some 3/4″ plywood I already had I cut a piece that will slide into the storage area just like the rear seat console did. This will allow me to easily slide the whole setup out to make any adjustments, program radios, or add devices. 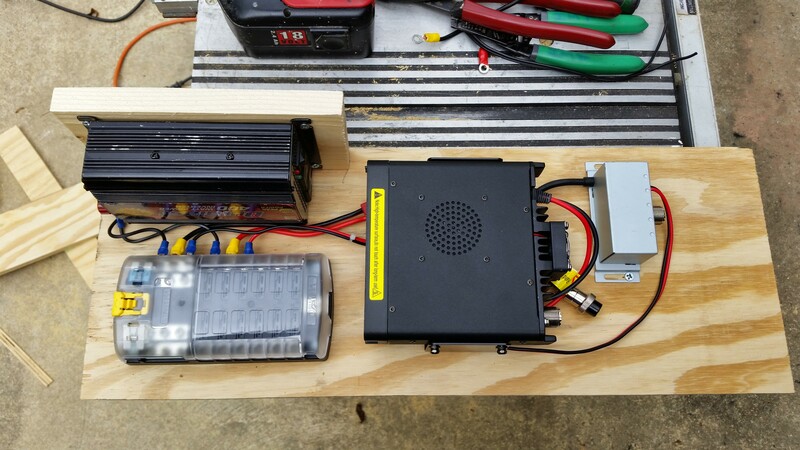 Shown below is the board with a 400w inverter, fuse panel, TYT TH-9800 Quad Band radio, and Cobra 75 XW ST CB radio mounted. As of now only the TH-9800 is powered up and being used, I’m waiting on coax and an antenna for the CB and will be installing a remote switch to turn the inverter on/off when I get started on my dash panel project. 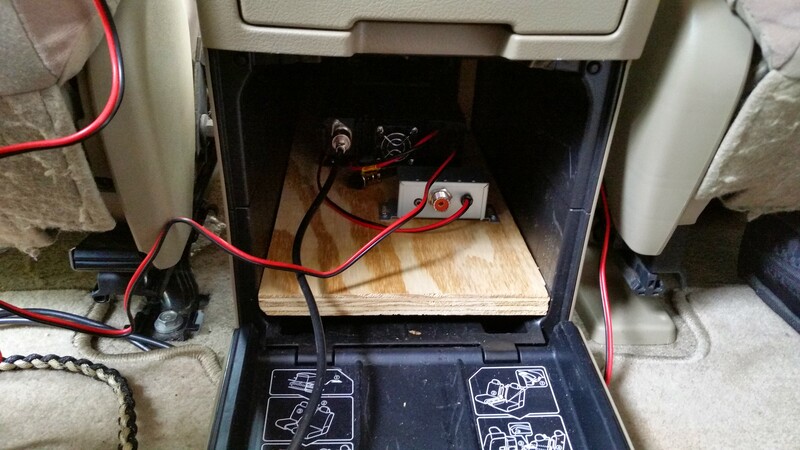 Show below is the board installed into the vehicle. The first image shows how far it can slide out for easy access and the second image shows it fully hidden inside the compartment. As I add additional radios I will build a stacking mount where the TH-9800 is now. 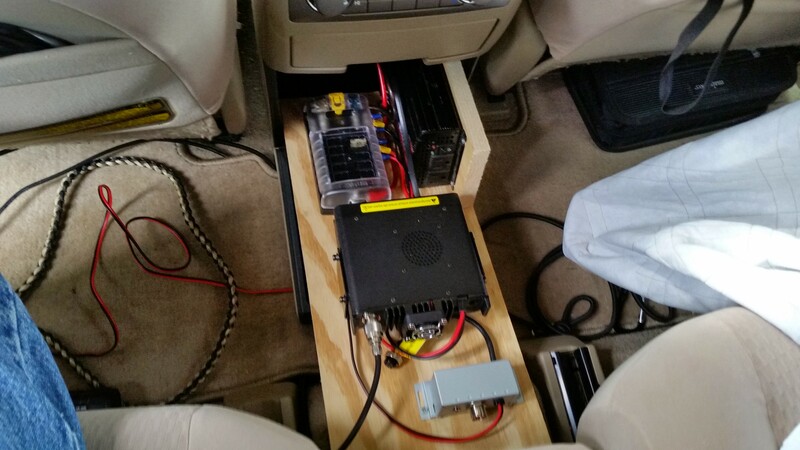 All thats left to do now is install a couple of openings into the console for antenna and accessory cable routing. I’m going to monitor the temperature in the compartment and add a silent 12v fan if needed.